I've probably shopped online a lot more times than I've shopped physically. Excluding my trips to the grocery, that is. And I definitely know why. As much as I love shopping in stores, doing it online is efficient and a time-saver. You can just stay at home or go to work as usual, and the items you buy will simply get to you in a day or two. Some items that you won't be able to find in physical stores can sometimes be bought online. You also have the power to simultaneously search and read through reviews of items you're interested in getting, even as short as a few minutes before you add that certain item to your online shopping cart. And if you're lucky, you can also get certain products for cheaper when you buy online than you would if you buy from a physical store. As much as I appreciate online shopping, there are still a long list of online shops and online shopping platforms I haven't bought from. But I can happily cross out one from that list! 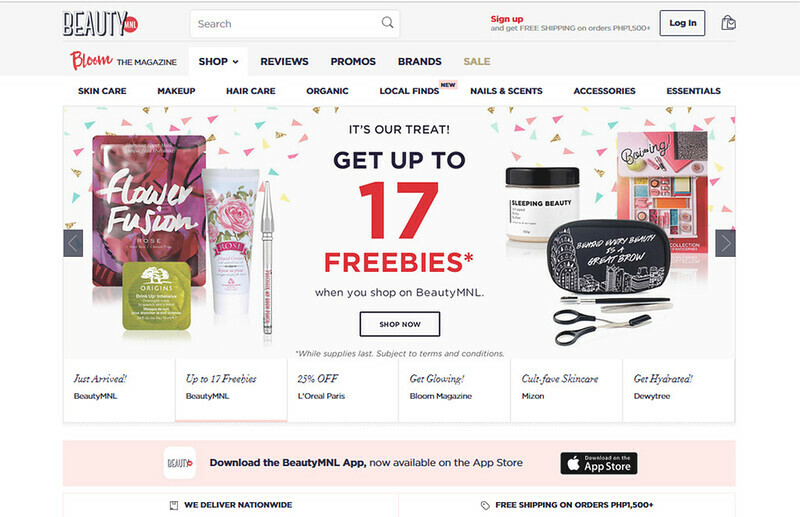 BeautyMNL has been one of, if not the biggest online beauty shop in the Philippines which carries a wide range of head to toe products -- from cult favorites like NARS and Benefit, best-selling Korean brands like Banila Co. and Innisfree, to local brands like VMV Hypoallergenics and Happy Skin. 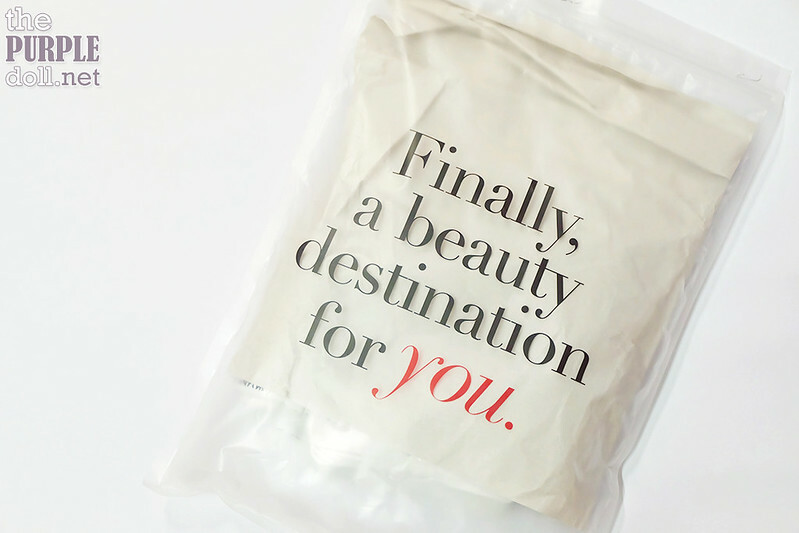 They even carry brands that offer organic beauty products! And while I've known BeautyMNL for quite a while now, it's only recently that I've finally tried buying from their shop. And what can I say from my first BeautyMNL shopping experience? HOLYCOW THEY SHIP SO FAST!!! Purchasing from BeautyMNL is as straight-forward as it can get. You SIGN UP for an account, BROWSE through their very wide array of brands and products, CHOOSE which items you want to get by adding them to your shopping cart, CHECKOUT and fill in your payment and shipping details, then BLINK. Seriously, from all my online shopping experiences, BeautyMNL is the fastest I've received my purchases from the time I checked out! I finished paying for the items in my cart at around 4PM on a weekday. Then the next day, my dad texted me that a package for me arrived some time before noon. That's not even a full 24 hours!!! I don't know if I'm just used to slow shipment of products, but BeautyMNL and their courier Ninja Van really impressed me. 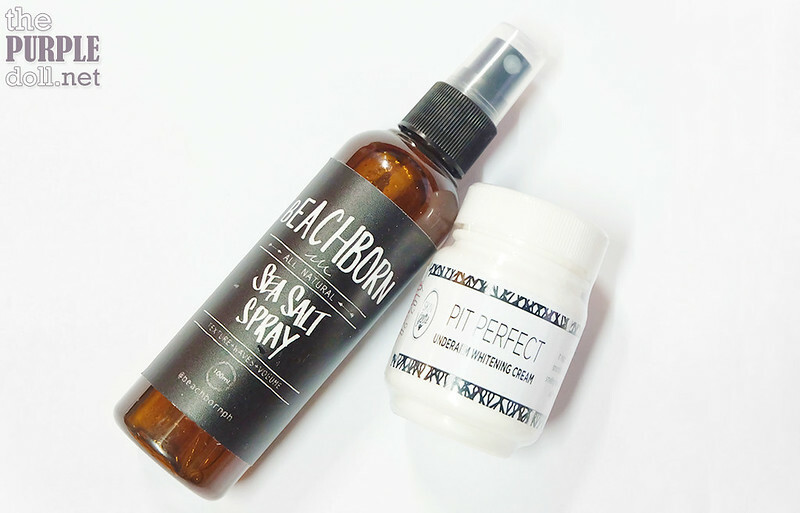 To be fair to BeautyMNL, not just the lightning fast shipment had me raving, but the very nice interface of their online shop, as well as the extensive line of brands and products they carry, are truly impressive! If there's something I've learned from a decade of online shopping, it's not to overspend in one sitting. So for my first BeautyMNL experience, I didn't go crazy. There are still so many brands and products to try and even more money to be earned, so I figured, I can just buy more on my next BeautyMNL purchases. No need to be hasty, BeautyMNL won't be going anywhere anyway. I'm not sure if you'll believe me, but I really am not a face mask person. I think over the course of my 20+ years of living, I've only used a face mask no more than 3x. Yup, that's how I am. Or used to be, rather. My non-purchase and non-usage of face masks isn't because I don't like them. Honestly, using face masks is like giving my facial skin a treat! 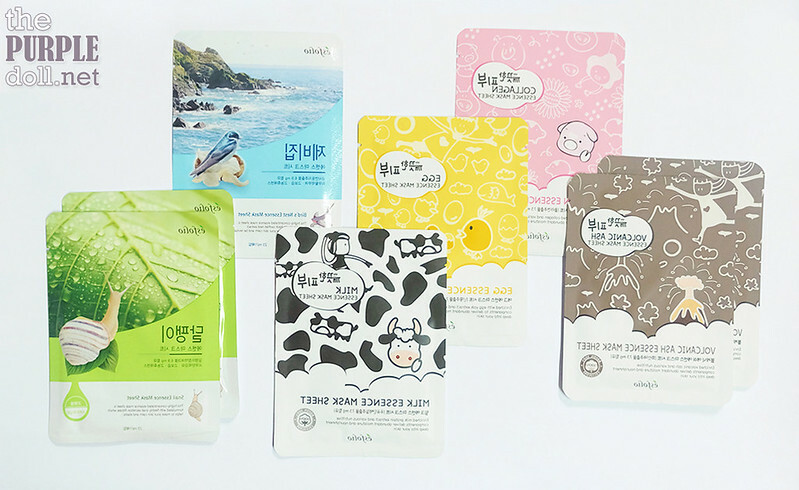 It's the availability of so many types of face masks and the confusion it brought me that deterred me from regularly buying and using them. However, BeautyMNL has all the details I want and need about the products. From price, description, ingredients, to the simple "What's it for?" that I'd usually have to ask for if I buy face masks from a physical store. There are also reviews on every item page, so I can get a vouch or more from those who've tried the product themselves and loved it. Like what I've mentioned above, face masks are not something I'd buy from a physical store. I'm not sure if it's just me, but I'm the type of person who prefers to have actual users of the product tell me what an item is good for. I heavily rely on reviews when buying things. 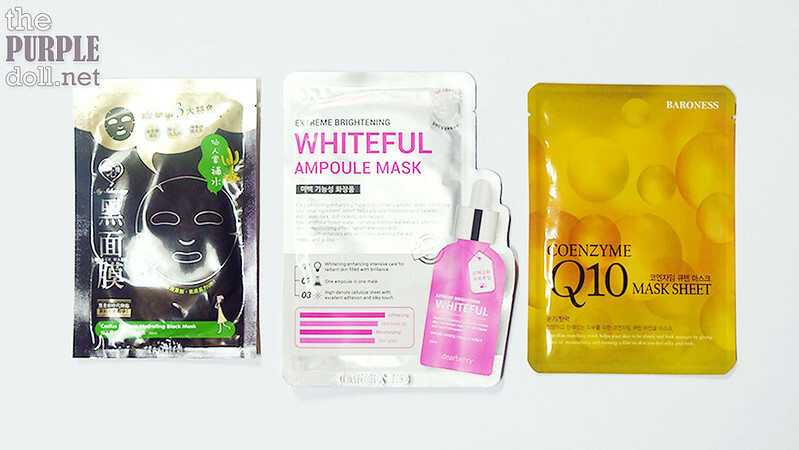 And for face masks that I don't conventionally buy, I find that I like browsing through them, reading their detailed description, as well as looking into reviews for the items on BeautyMNL. With so many choices in brands, types and active ingredients in facial masks, BeautyMNL helped make things easier for the easily-confused me. Browsing through the bestsellers section of BeautyMNL also helped me find these promising items. The underarm cream, though I don't need THAT much, is a welcome help to always make me sleeveless and taas-kili-kili ready. I also found out that it's currently sold out on the site, so that says something! I was lucky to get some freebies with my purchase during the time I bought these. 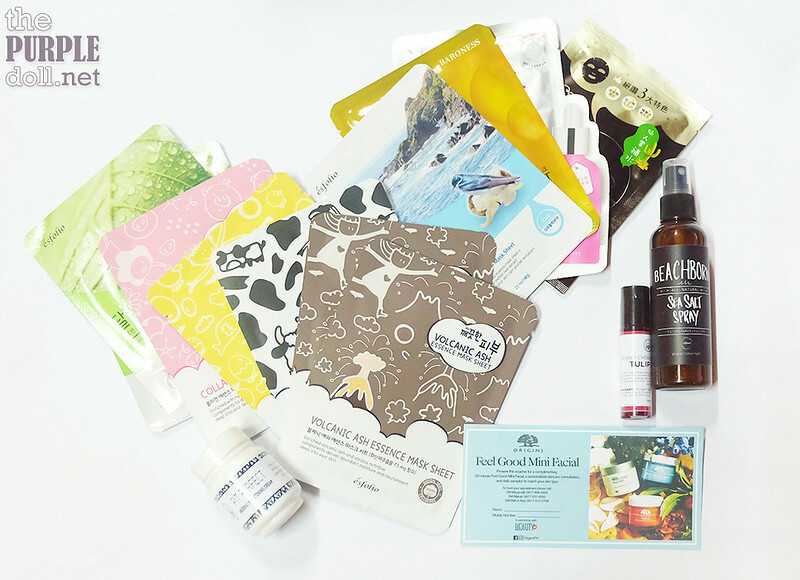 But whichever time or day you buy, BeautyMNL has freebies to offer. As for my case, I got a Skin Genie Lip and Cheek Stain Alive! 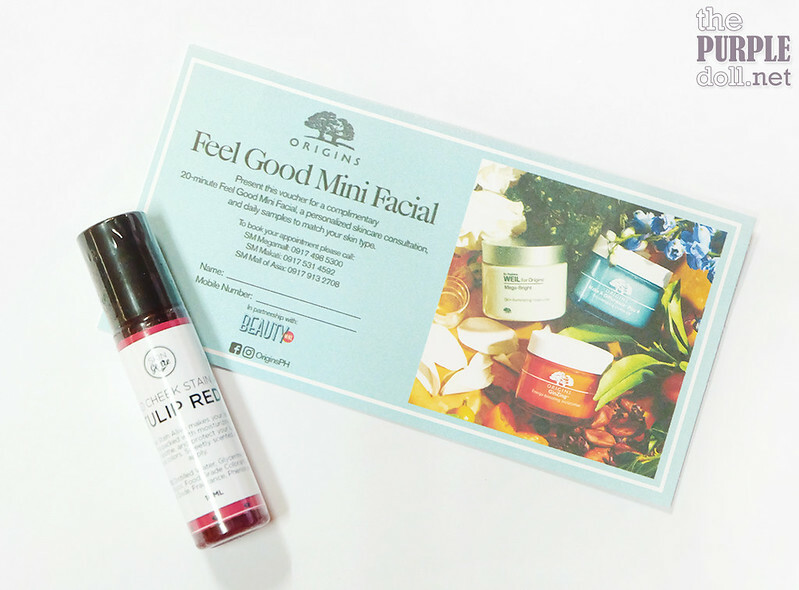 in Tullip Red which is another best-selling item at BeautyMNL, as well as a voucher free Origins Facial Voucher which I'm excited to redeem soon. There's always something exciting going on at BeautyMNL that even after purchasing these, I think I'll have to place another order ASAP. Like this one, L'Oreal Infallible makeup products are available at 25% off until tomorrow only! The Infallible 24HR Liquid Foundation I use is now selling for P525 instead of P700. Just how can I resist that? I once tried purchasing from BeautyMNL but my mastercard got rejected. I purchased from other sites instead. But I'm still open to purchasing from them since they carry lots of brands/items and they often have promos. By the way, what's your opinion about Skin Genie's Pit Perfect? Aww.. Hope you get to try shopping from BeautyMNL some time. You'll be impressed too with their super fast shipping! Learn the challenges of borderless shopping and how businesses of the 21st Century are meeting online home shopping stores India. Partnering with third parties in local countries can help businesses meet the growing demands of international online shopping. After some recent discussion with our bridal boutiques it has come to my attention that we needed to write an article on Wedding flower girl dresses Etiquette when in store. Trying on and choosing the Wedding Dress is the best part of the whole wedding for you. You want this to be an enjoyable experience, but with that there are some house rules when you are in a bridal store.